Join Deaf-Blind mosaic artist, Mary Dignan, for an engaging conversation about her artistic process and techniques. 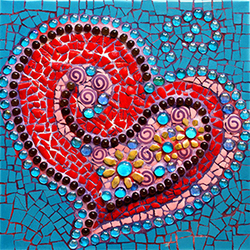 Based in Sacramento, Mary creates beautiful, intricate mosaics and will have some on display during the program. Her artwork has been shown at the Triton Museum of Art in Santa Clara, and most recently at the LightHouse for the Blind and Visually Impaired in San Francisco. Click here for downloadable PDF 1 and PDF 2. 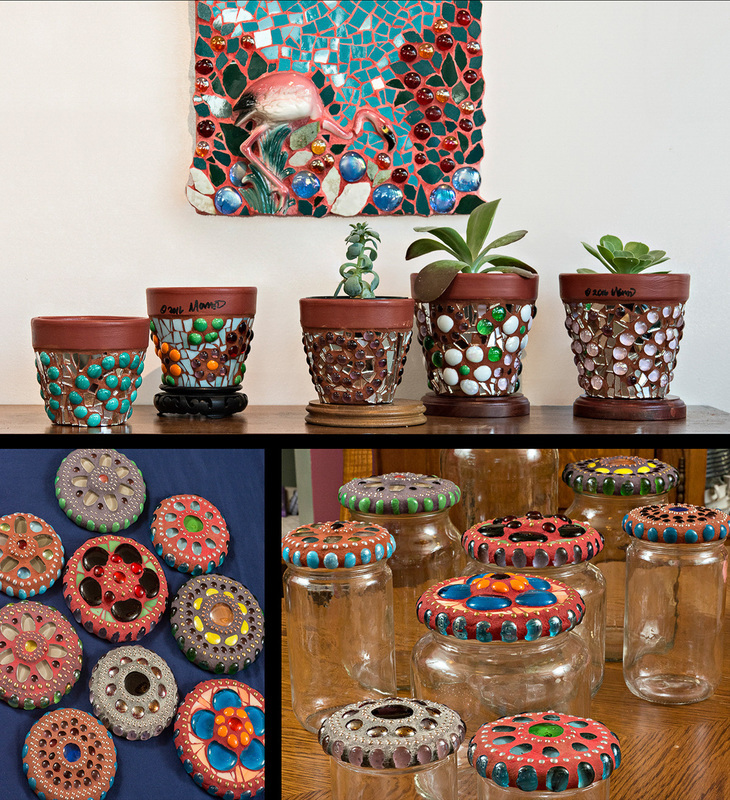 ​New Class - Learn to Make Mosaic Treasure Jars! ​Check out the new Lion mosaics! Check out the mask mosaics we made in our "About Face: Mosaic Masks" class! Sadly, Puleo-Gentry Gallery has closed. 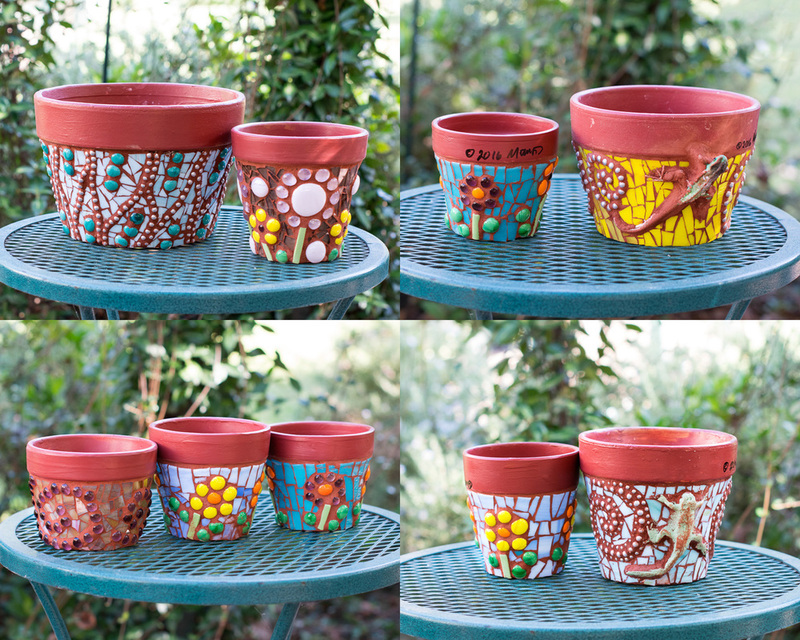 However I continue to make smaller items like the mosaic terra cotta pots and mosaic lid jars, seen below in these photos. Contact me for more information. Photography by Anne Chadwick Williams; site design and photography by Diana Jahns. All content and art work copyright Mary Dignan. All rights reserved.